MANILA, Philippines – Tough day for all Filipinos around the globe due to Manny Pacquiao’s heart breaking loss to Floyd Mayweather Jr. To cheer us up, here’s a good news to lighten our moods. Another Fil-Am football player made it to National Football League (NFL) on Saturday, May 2 (Sunday, May 3 Manila Time). 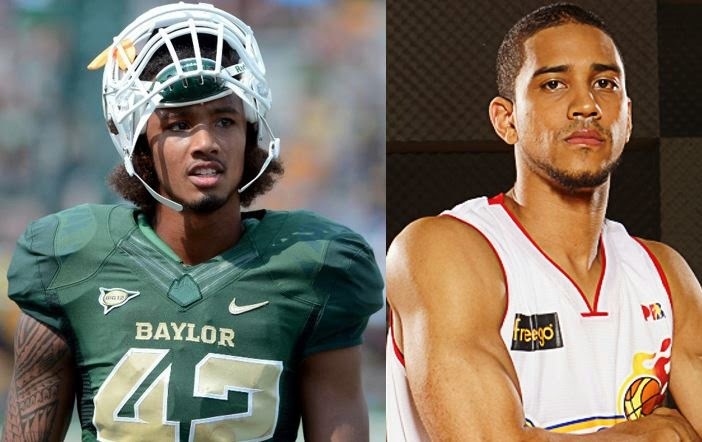 Levi Norwood, younger brother of Gilas Pilipinas guard and Rain Or Shine franchise player Gabe Norwood was picked by the Chicago Bears at the 2015 NFL Draft. Levi, a 6’2” Wide Receiver and Kick and Punt Returner from Baylor University has recorded a total of 1,626 receiving yards and 11 touch downs during his college years. The younger Norwood tweeted his milestone on Sunday morning (Saturday, US Time) before the Pacquiao-Mayweather fight. Gabe Norwood confirmed the news by tweeting his congratulations to his brother. Aside from Levi, another Norwood is currently playing in the NFL. Meet Jordan, Gabe and Levi’s sibling who plays as a back-up Wide Receiver for the Denver Broncos. Jordan is the smallest among the Norwood brothers who only stands 5’11”. Levi Norwood joins his brother Jordan, Eugene Amano (former Tennessee Titans Center) and Doug Baldwin who became more famous for carrying the Philippine Flag upside down in support of the Yolanda Victims in the list of NFL players who have Filipino Blood. Like Tim Tebow, who was born in Makati City, Philippines and has just signed with Philadelphia Eagles, Levi Norwood needs to make the 53-man roster before the NFL season starts in August to ensure his employment. Whether Levi makes the cut or not, we should still be proud of him for making it into the draft along with thousands of aspirants all over America. The elder Norwood, who is well-known for his sticky defense on PBA imports and his infamous and nasty dunk over Argentinian Louis Scola of Indiana Pacers at the FIBA Asia Championships can inspire his brothers to play for the Pilipinas Aguilas National American Football Team.